Clean energy is better for the environment and the budget. The United Arab Emirates (UAE) has determined that trading natural gas for clean energy is best both for the environment and the budget. Forecasts show that switching half of the country’s power needs to renewables by 2050 will generate savings that outweigh the costs of investment. In fact, as the UAE invests $150 billion into renewable power between now and 2050, it will save $192 billion as it reduces its dependency on subsidized natural gas power. Minister of Energy Suhail Al-Mazrouei announced the UAE’s clean energy plans, expressing the nation’s “bullish” enthusiasm about the project. Following through with the plan will “save the environment and at the same time save us lots of money,” he said in an interview with Bloomberg. As solar power makes the news as the cheapest source of new energy, countries in sunny regions are reassessing their power strategies. Most of these nations rely on liquid natural gas — for now. Al-Mazrouei explained that Middle East states need to break free from their dependence on subsidized gas power, which is incredibly inefficient. The UAE has now set a clean power target that is “incredibly ambitious” according to Bloomberg New Energy Finance, joining other nations around the world who are working to maximize their green energy use. Britain has set a trade as its goal: all coal power for green energy by 2025. 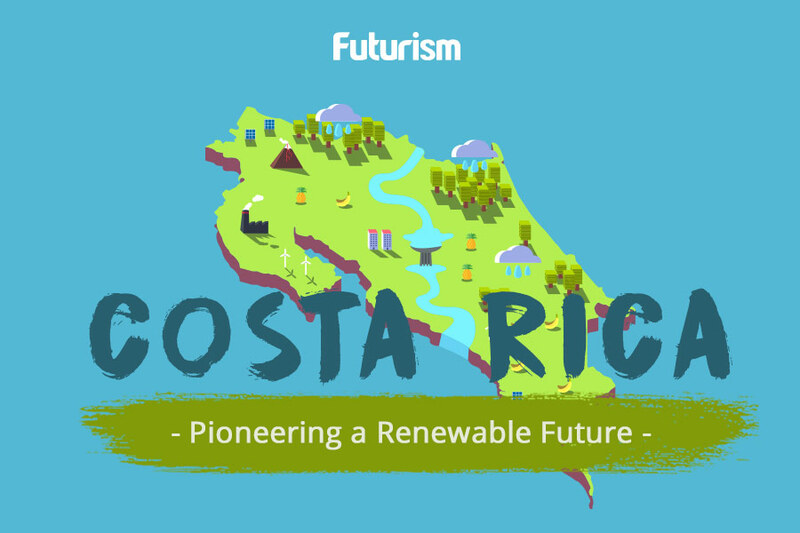 Costa Rica runs entirely on green energy, setting an example for the rest of the world. China, one of the biggest greenhouse gas offenders in the world, is also making some of the most impressive strides to correct its behavior; it has decreased its use of fossil fuels as its overall energy use has increased, and is now the world’s biggest producer of solar energy. The UAE is likely to be a contender when it comes to solar power producers of the future; the Sun is certainly a natural advantage for the country.